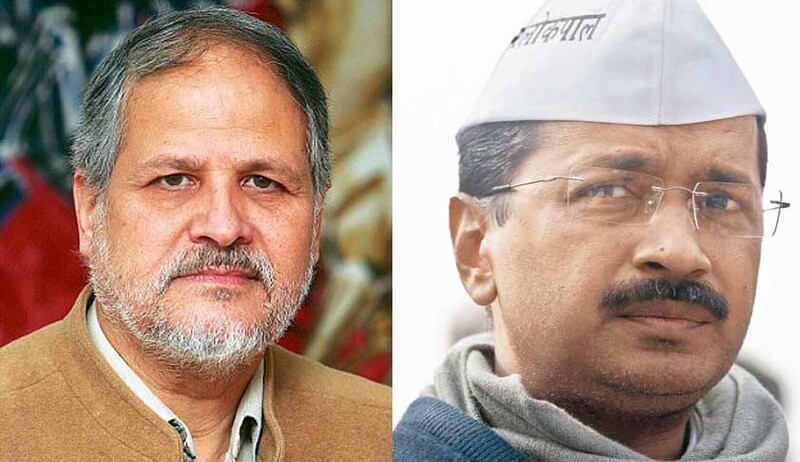 Delhi High Court has today declared that Lieutenant Governor is the administrative head of National Capital Territory of Delhi and he is not required to act on the advice of the Delhi Cabinet. The High Court Bench headed by Chief Justice G.Rohini has dismissed a batch of Petitions by the Delhi AAP Government challenging the powers of Lieutenant Governor. (i) On a reading of Article 239 and Article 239AA of the Constitution together with the provisions of the Government of National Capital Territory of Delhi Act, 1991 and the Transaction of Business of the Government of NCT of Delhi Rules, 1993, it becomes manifest that Delhi continues to be a Union Territory even after the Constitution (69th Amendment) Act, 1991 inserting Article 239AA making special provisions with respect to Delhi. (ii) Article 239 of the Constitution continues to be applicable to NCT of Delhi and insertion of Article 239AA has not diluted the application of Article 239 in any manner. (iii) The contention of the Government of NCT of Delhi that the Lt. Governor of NCT of Delhi is bound to act only on the aid and advice of the Council of Ministers in relation to the matters in respect of which the power to make laws has been conferred on the Legislative Assembly of NCT of Delhi under clause (3)(a) of Article 239AA of the Constitution is without substance and cannot be accepted. (iv) It is mandatory under the constitutional scheme to communicate the decision of the Council of Ministers to the Lt. Governor even in relation to the matters in respect of which power to make laws has been conferred on the Legislative Assembly of NCT of Delhi under clause (3)(a) of Article 239AA of the Constitution and an order thereon can be issued only where the Lt. Governor does not take a different view and no reference to the Central Government is required in terms of the proviso to clause (4) of Article 239AA of the Constitution read with Chapter V of the Transaction of Business of the Government of NCT of Delhi Rules, 1993. (v) The matters connected with 'Services' fall outside the purview of the Legislative Assembly of NCT of Delhi. Therefore, the direction in the impugned Notification S.O.1368(E) dated 21.05.2015 that the Lt. Governor of the NCT of Delhi shall in respect of matters connected with 'Services' exercise the powers and discharge the functions of the Central Government to the extent delegated to him from time to time by the President is neither illegal nor unconstitutional. (vi) The direction in the impugned Notification S.O.1896(E) dated 23.07.2014 as reiterated in the Notification S.O.1368(E) dated 21.05.2015 that the Anti-Corruption Branch Police Station shall not take any cognizance of offences against officers, employees and functionaries of the Central Government is in accordance with the constitutional scheme and warrants no interference since the power is traceable to Entry 2 (Police) of List II of the Seventh Schedule to the Constitution in respect of which the Legislative Assembly of NCTD has no power to make laws. (vii) Notification No.F.5/DUV/Tpt./4/7/2015/9386-9393 dated 11.08.2015 issued by the Directorate of Vigilance, Government of NCT of Delhi under Section 3 of the Commission of Inquiry Act, 1952 appointing the Commission of Inquiry for inquiring into all aspects of the award of work related to grant of CNG Fitness Certificates in the Transport Department, Government of NCT of Delhi is illegal since the same was issued without seeking the views/concurrence of the Lt. Governor as provided under Rule 10 and Rule 23 read with Chapter V of Transaction of Business Rules, 1993. (viii) For the same reasons, the Notification No.F.01/66/2015/DOV/15274- 15281 dated 22.12.2015 issued by the Directorate of Vigilance, Government of NCT of Delhi under Section 3 of the Commission of Inquiry Act, 1952 appointing the Commission of Inquiry to inquire into the allegations regarding irregularities in the functioning of Delhi and District Cricket Association is also declared as illegal. (ix) The appointment of Nominee Directors of Government of NCT of Delhi on Board of BSES Rajdhani Power Limited, BSES Yamuna Power Limited and Tata Power Delhi Distribution Limited by the Delhi Power Company Limited on the basis of the recommendations of the Chief Minister of Delhi without communicating the decision of the Chief Minister to the Lt. Governor of NCT of Delhi for his views is illegal. (x) The proceedings of the Government of NCT of Delhi, Department of Power No.F.11(58)/2010/Power/1856 dated 12.06.2015 issuing policy directions to the Delhi Electricity Regulatory Commission regarding disruption in electricity supply to consumers and compensation payable in respect thereof are illegal and unconstitutional since such policy directions cannot be issued without communicating to the Lt. Governor of NCT of Delhi for his views. (xi) The Notification No.F.1(1953)/Regn.Br./Div.Com/HQ/2014/191 dated 04.08.2015 issued by the Government of NCT of Delhi, Revenue Department in exercise of the powers conferred by sub-section(3) of Section 27 the Indian Stamp Act, 1899 (2 of 1899) and Rule 4 of the Delhi Stamp (Prevention of Under - Valuation of Instruments) Rules, 2007 revising the minimum rates for the purpose of chargeability of stamp duty on the instruments related to sale/transfer of agriculture land is illegal since the said notification was issued without seeking the views/concurrence of the Lt. Governor of NCT of Delhi as required under the constitutional scheme. (xii) Though the Lt. Governor of NCT of Delhi is competent to appoint the Special Public Prosecutor under Section 24(8) of Cr.P.C., such power has to be exercised on the aid and advice of the Council of Ministers in terms of Clause (4) of Article 239AA of the Constitution.